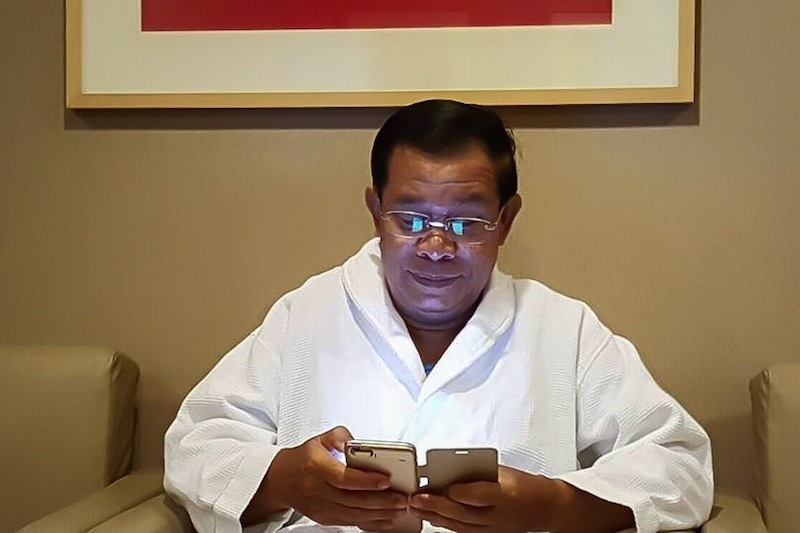 Prime Minister Hun Sen uses a smartphone in a photograph posted to his Facebook page in February. Prime Minister Hun Sen is nearing the pinnacle of Cambodian social media popularity, having now passed opposition leader Sam Rain­sy in their heated race for “likes” on Facebook. Prime Minister Hun Sen uses a smartphone in a photograph posted to his Facebook page on Tuesday. 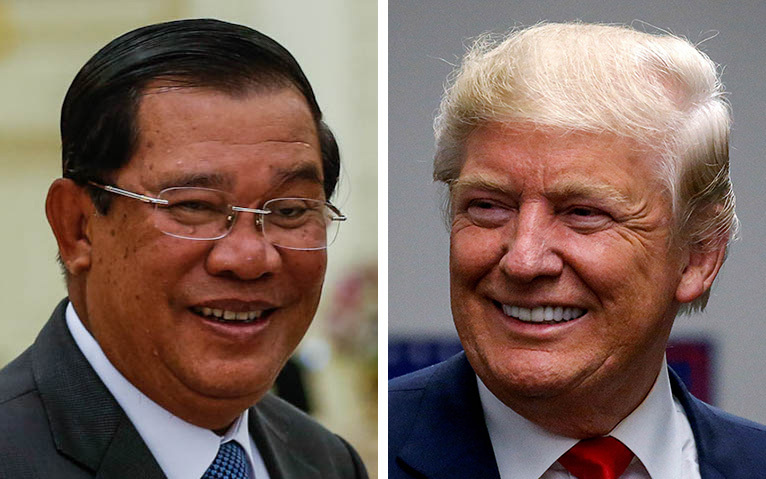 Having gained nearly 370,000 “likes” over the course of the past month, Mr. Hun Sen’s page— created in 2013, but only acknowledged by the prime minister’s cabinet in September—is now the third-most popular in Cambodia, trailing only the VOA Khmer news service and pop star Meas Soksophea. 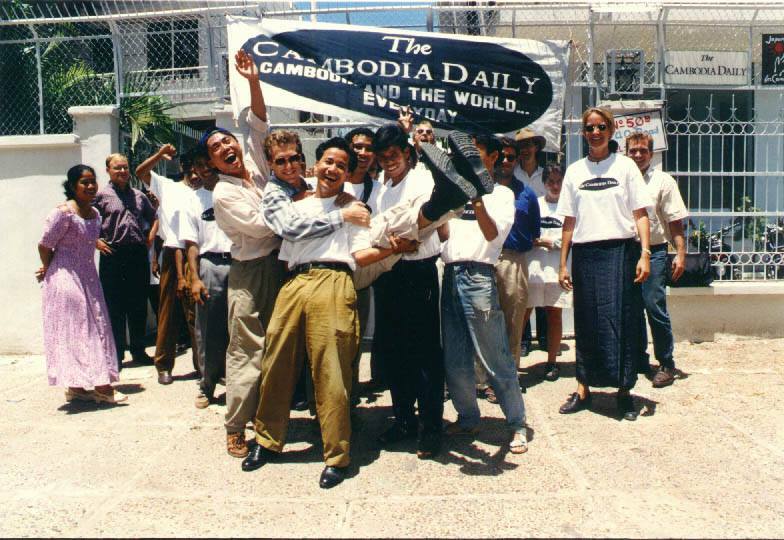 Since the official recognition of his page, Mr. Hun Sen has been particularly active on the social me­dia platform, regularly posting photographs of official meetings and personal outings—as well as warnings to those who offend him. In the past week alone, Mr. Hun Sen has posted photos of himself taking selfies with admirers, pushing a woman in a wheelchair, using a hose to water flowers and eating noodles with a street vendor. In interviews Tuesday, Facebook users around Phnom Penh largely attributed the success of the “Samdech Hun Sen, Cambodian Prime Minister” page to Mr. Hun Sen’s apparent common-man ap­proach to social media—but had mixed takeaways from the premier’s campaign. At a coffee shop in Chamkar Mon district on Tuesday, Teb San Pisey, 24, the owner of a local health-products firm, said she was impressed with how “normal” Mr. Hun Sen appeared online, but speculated that his main concern was public relations. 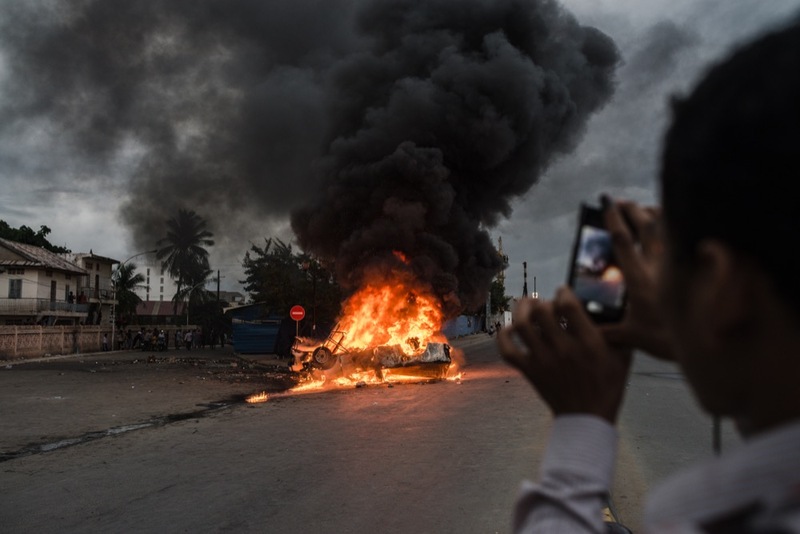 “I think Hun Sen gets more likes now because he is going down to the grassroots level. He eats with the people. 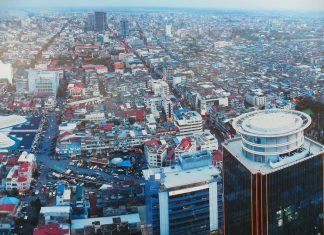 He talks with the people,” Ms. San Pisey said, adding that she had hit the “like” but­ton on Mr. Hun Sen’s page about two months ago. “When I go on my new phone to use Facebook, I now see him giving money to noodle sellers and exercising in the park,” Mr. Phansey said. Waiting for clients at the Sorya Shopping Cen­ter, businessman Chap Visal, 36, said he too had noticed the prime min­ister’s fre­quent uploads of “informal” photos. He stressed that while he had “liked” both Mr. Hun Sen’s and Mr. Rainsy’s pages, this was not an endorsement of either leader. Speaking by telephone on Tuesday, local blogger Tharum Bun said Mr. Hun Sen’s Facebook po­pularity was likely not simply the result of a grassroots ap­proach, not­ing that he had seen a number of “sponsored posts” for the prime minister’s page pop up on his Facebook newsfeed. 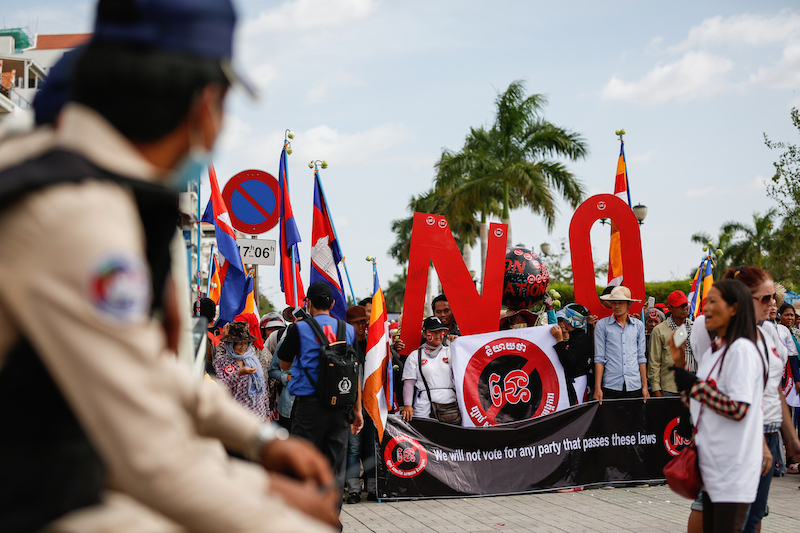 Asked whether the opposition party was worried about Mr. Hun Sen’s meteoric rise in Facebook support, the CNRP’s deputy public affairs director, Kem Mono­vithya, said in an email that she was more concerned by what the country’s highest-profile politicians deem­ed Facebook-worthy. “Facebook is one among other platforms to communicate, what matters is the content. I’d like to see more substance and less narcissism on this platform from all sides,” she said.